A limited liability partnership (LLP) agreement is a professionally licensed partnership that protects partners from personal liability of business decisions. These legal entities serve as pass-through entities for tax purposes and are organized to specifically help certain licensed professionals such as lawyers, accountants or architects. An LLP is easy to set up and administer. Commingling funds between your personal and business checking accounts can actually wipe out the personal liability protection that LLPs offer. With more than 5,100 branches, 16,000 ATMs, and web- and mobile access, we recommend Chase Bank as the best business checking account. Right now, they’re offering a $200 sign-up bonus for new business accounts. 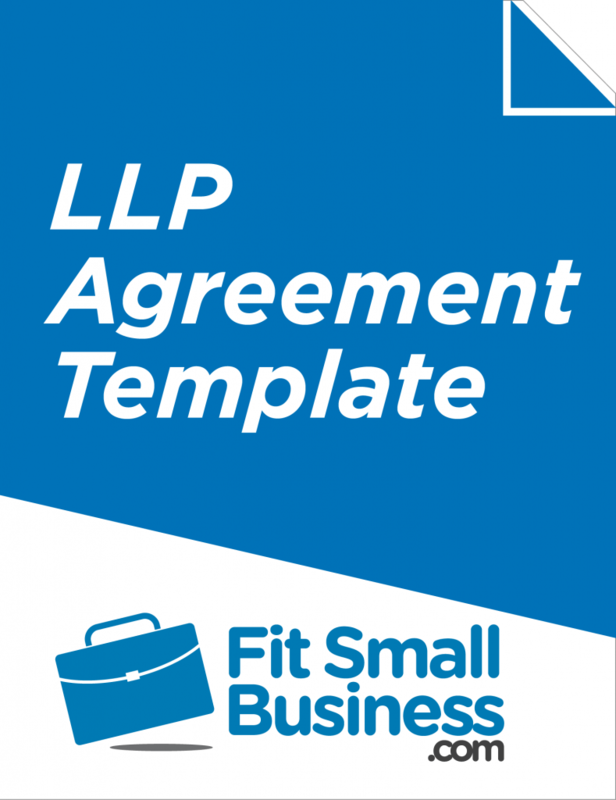 Every LLP needs an LLP agreement that formally organizes the various partners into a legal partnership. This document sets forth the rights and obligations of partners, respective ownership stakes and the procedures for governing the partnership. We’ve put together a template agreement for your reference but also recommend getting your own legal advice. Using a partnership agreement template like the one provided meets the needs of most small- to medium-sized partnerships. Some large or specialized firms should definitely engage a lawyer for help. The requirements of a limited liability partnership agreement vary by jurisdiction, so you should consult with an attorney and your state’s secretary of state website to learn specific requirements in the state where you intend to organize. Many professionally licensed practitioners in fields like law, accounting or architecture choose to organize as an LLP. Like limited liability companies (LLCs) and other formally organized businesses, LLPs help to shelter partners against personal liability. They’re easy to create and administer, make it easy to raise money from new partners and aren’t required to pay corporate income tax. In an LLP, the personal assets of partners are protected from risk from creditors or other obligations of the partnership. LLPs are especially beneficial to protect personal assets of partners against the risk that arises from the actions (including negligence or malfeasance) of other partners. However, partners are still personally responsible for partnership bills or loans. Another advantage of limited liability protections in LLPs is that partners in an LLP don’t forfeit personal liability protection if they’re actively engaged in the management of the partnership. This isn’t the case in, for example, a limited partnership (not to be confused with a limited liability partnership). Fraud: If you or your business defraud customers, vendors or investors, you can be open to unlimited personal liability. Failure to meet LLP requirements: If you fail to meet statutory requirements to administer your LLP. These typically include annual meetings with formal minutes, filing annual reports, and so on. Mixing personal and partnership finances: If you keep business and personal funds together in the same accounts, you can open yourself up to additional liability. To help keep finances separate, it’s a good idea to open a dedicated business checking account. Using personal money to meet partnership obligations: Paying business bills with personal money can leave you open to additional liability. Insufficiently capitalizing your partnership at startup: If you don’t have form your partnership with enough money to meet its obligations early on, you run the risk of being held personally liable for its bills and debts. To learn how you can use retirement assets to fund a new business, be sure to read about using your 401(k) to start a business. LLPs can be more difficult to establish in some states than in others. However, LLPs are simpler to create and administer than corporations. LLPs can typically be created online through states’ secretary of state websites. If you want dedicated financials (or a business checking account) for the partnership, you can get an employer identification number (EIN) through the IRS website. Thankfully, you can use a service like Rocket Lawyer or hire a lawyer to help you through this process. Rocket Lawyer can help you through the steps to establish and administer your LLP or pair you up with a legal expert to answer specific questions as they arise. If you’re unsure what steps to take next in establishing your LLP, be sure to consult with Rocket Lawyer. All partnerships are pass-through entities for tax purposes. There are no taxes paid at the partnership level — all tax liability is passed on to individual partners according to their percentage ownership. While you will need to pay a 15.3% self-employment tax on income derived from a partnership, this is far cheaper than paying 21% corporate income tax plus additional personal income tax on profit disbursements. To learn more about self-employment taxes on partnership income, check out our article on Self-employment Tax Rates and How to Lower Your Tax Bill. In less formal organizations like sole proprietorships or even LLCs, it can be nearly impossible to raise additional capital. With no equity or partnership shares to sell, potential investors have nothing to buy and no way to protect their investment. This isn’t the case in an LLP. In a limited liability partnership, you can take on new limited partners at any time. What’s more, you can require that new partners buy-in to your partnership, which is very common among law firms. This helps you to not only build the business by adding valuable new talent but to raise new capital potentially as well. In some cases, new partners don’t even need to be directly involved in the operations of a business. While it’s generally easier to find outside investors for C-Corps, some LLPs bring in money from more passive investors who take a less active role in the operations of the partnership. In addition to their benefits, LLPs have disadvantages to consider. The limited applications of LLPs or their relative difficulty to establish in some states may make other business structure better for your specific circumstances. If you’re a business in an industry that doesn’t have traditional partnerships like attorneys or accountants, then you’ll be better served with another business structure. The biggest drawback of LLPs is that they can only be used by certain types of businesses. In most states, LLPs can only be formed to practice certain licensed professions including accounting, law and architecture. If you aren’t engaged in one of these businesses, you may not even be eligible to set up an LLP in some states. Most small businesses will find it easier to use an LLC than an LLP. This is because LLCs are typically easier to qualify for and set up. They also offer a greater degree of flexibility. LLPs are typically only used by firms practicing law, accounting or architecture. In some states, LLPs can only be used for these purposes. Aside from their limited use to practice in certain professions, there are additional requirements of LLPs that can make them less attractive business structures. For instance, limited liability partnerships must be just that — partnerships. You can’t usually set up an LLP with just one partner. 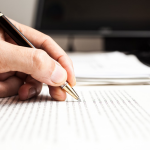 LLPs also typically require more paperwork than other business structures like LLCs, in part to prove you have the requisite licenses to practice your profession. Once you set up an LLP, as in an LLC, you are also required to have annual meetings, keep minutes and submit regular filings. There are certain steps you need to follow if you want to set up an LLP. If you want help setting up or administering your partnership, you can always engage knowledgeable professionals to help you. One of the best providers of these services is Rocket Lawyer. They can help you draft a partnership agreement, file with the state of your choosing and keep your partnership current going forward. The disadvantage of LLPs is the lack of flexibility in the tax structure. In an LLC, for example, owners can choose how they want to be taxed. They have to pay self-employment tax but LLC owners can be taxed as pass-throughs like partnerships. Alternatively, they can choose an S-Corp election or other distinction to file taxes at the company level. Owners of some companies like LLCs get to choose a tax structure that’s best for their individual circumstances. Partners in LLPs don’t have these choices. They have to be taxed as pass-throughs (and pay self-employment tax, of course). However, LLPs offer a distinct advantage over some types of companies like C-Corps, which are taxed 21% on company profits. LLPs, do not pay income tax at the partnership level as all tax liability is passed on to individual partners. Each year, partners receive Schedule K-1 forms and report their share of the partnership income on personal tax returns. As with other companies, various states charge fees to set up LLPs. Formation fees are often $50 to $500 with additional fees assessed when you submit required annual filings. Filings are typically submitted online through state websites but filing requirements and fees vary widely. Annual filing fees for an LLC, for example, can range from $0 to $820. The fees to establish and maintain an LLP, which can be high, are separate from the fees you may need to pay for professional licensing to practice as an accountant, architect or attorney. These fees are also separate from the self-employment tax you need to pay and other potential franchise or excise taxes charged by some states. Some states also require a local agent to act on behalf of the business. If you’re filing in a different state, you may need to hire a local agent who will charge his or her own fee. Because of the required fees for the formation and annual filings, an LLP may not be the cheapest option for you to organize your business. Depending on your circumstances and type of business, it may be better for you to establish your business as a sole proprietorship initially. Once the business grows, you can always convert to an LLP or other structure later. Before deciding if an LLP is right for you, be sure to consider some alternatives. Some other options may be easier and more cost-effective to establish or administer. Others like LLCs, S-Corps and C-Corps are more available to people outside certain licensed professions, have more flexible tax structures or lack the partner restrictions of an LLP. Both LLPs and LLCs offer personal liability protection for owners. In some cases, LLC owners forgo some protections when they’re actively engaged in the management of the business, which isn’t the case for LLPs. LLCs have similar filing fees and administration requirements, including annual meetings and minutes. However, LLC owners get to choose how they’re taxed. Where LLPs are a form of partnership, S-Corps are more akin to traditional corporations with shareholders. S-Corps do not have the requirements that LLPs have for use in practicing licensed professions. S-Corps also have the same tax structure as LLPs with no taxes paid on corporate profits. This gives S-Corps the same advantages over C-Corps that LLPs share. Of all company structures, the C-Corp is the most robust. It is the most costly and time-consuming to form and administer. C-Corps are also far-and-away the most expensive from a tax perspective. Before any company profits are distributed to shareholders in C-Corporations, those profits are taxed at 21% by the federal government. Once those profits are distributed, they are taxed again at the personal level. Limited liability limited partnership is a relatively new creation. The differences between LLPs and LLLPs are relatively nuanced but center on liability protection. Essentially, partnerships have two different classes of partners — general partners and limited partners. LLPs do not have limited partners — all partners are considered “general partners.” LLLPs, in contrast, have limited partners which have additional liability protection. Of the alternatives listed, a sole proprietorship is the only option that is not a formally organized business. You do not need to register to form a sole proprietorship nor do you need to submit to annual filings except for reporting your self-employed income on Form 1040 of your Schedule C and obtaining any necessary licenses. However, sole proprietorships do not offer their owners any liability protection whatsoever, which is much different than an LLP. An LLP is best for groups of attorneys, accountants or architects who want to work together in partnership while not being held liable for each other’s mistakes. 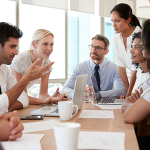 Whether you opt for a centralized or decentralized management structure, LLPs are also best if you want your business to be pass-through tax responsibilities to individual partners. To have an LLP, you need to have more than one partner, but LLPs are also advantageous if you expect to have a fluid group of partners. Under a limited liability partnership agreement, you can give people the option of joining and buying in, which incidentally helps you raise money, and also leave later on. What’s the Difference Between an LLP and LLC? An LLP is a partnership formed for licensed professionals like lawyers, accountants or architects. An LLC can be formed for to operate almost any kind of business or to hold property. LLPs are treated and taxed as partnerships while LLCs get to choose how they will be taxed. Also, LLC members often give up personal liability protection if they’re actively engaged in the management of the business. For more information on the how a limited liability partnership agreement compares to an LLC, check out our article on LLPs vs. LLCs and how to choose between the two. An LLLP is a limited liability limited partnership. LLLPs are relatively new and have been found to offer partners a greater degree of liability protection in some cases, but an LLP will be the better option for most small business partnerships. What’s the Purpose of an LLP? LLPs are formed by two or more people who want to work together in the practice of law, accounting or architecture. More people starting businesses in other industries find it easier to qualify for and set up an LLC instead of an LLP. How is an LLP Taxed? LLPs are taxed as partnerships — the tax responsibility for partnership profits each year flows through to individual partners based on their individual ownership stake. Partners are also required to pay personal income tax and self-employment tax on any income they earn through the partnership. Partnership agreements should include everything you need to define the nature of your partnership and its purpose. The agreement should also include a list of all the partners, their respective ownership contribution levels and ownership stakes. Management roles should be clearly defined along with any rules or restrictions on partner behavior or company oversight. In short, anything you would need to have proof of in the event of a partnership dispute. LLPs are great for forming partnerships to practice certain licensed professions. Like S-Corps and some LLCs, LLPs are treated as pass-throughs for tax purposes. They are easy to set up, allow for new partners and limit the personal liability of partners. LLPs also have drawbacks you should consider before deciding if an LLP is right for you. If you want help setting up an LLP, Rocket Lawyer can serve as an excellent resource. They offer detailed template documents customized for your industry and state and can walk you through any industry-specific issues you need to address or resolve any questions that arise. They also offer one-on-one guidance and discounted rates on attorneys.